Leaving aside intellectually fraught efforts to argue that ancient Israel is an epic fiction manufactured in the Persian or Greek era — an effort that will forever stumble over the Merneptah stele— . . . . . Such statements (this is but one example) mystify me. They are made by professional scholars yet they are tiresomely unscholarly, certainly unprofessional, on several levels. To infer that the works of Thomas L. Thompson, Philip R. Davies and Niels Peter Lemche are “intellectually fraught efforts to argue” a thesis is not a scholarly statement but a condescending value judgement. It is a tactic to justify a choice to simply ignore the challenges to the foundational assumptions and methods underlying one’s own viewpoint or argument. It would be more professional (demonstrating respect for one’s peers at the least) to say something like “Leaving aside the argument that Israel is an epic fiction…. — see challenges to this position at …..”. The second point is even worse from a scholarly perspective. To declare that an entire thesis of a significant minority of one’s peers founders upon one solitary datum (as if that thesis fails to address that datum in a scholarly manner) is somewhat mischievous. In fact it is not the Merneptah stele that falsifies the thesis at all. The real point on which Bernier and those on his side claim that the view that “biblical Israel” is a fiction is the inference or assumption that the Merneptah stele confirms the essential reality of “biblical Israel” — an inference that is the conclusion of circular reasoning. Because the stele mentions Israel it is simply assumed that it must in some way be an indicator of “biblical Israel”, thus it is the assumption that biblical Israel was a historical entity that is used to conclude that the Merneptah stele refers to that “historical entity”. It is misleading and the dogmatic apologetics to claim that the stele itself disproves the thesis that biblical Israel was a late fictional creation. It is Bernier’s assumptions and circular reasoning in relation to the stele that prevents him from referring to the hypothesis as if it is a genuinely scholarly enterprise. He writes as if any other interpretation of the stele is hopelessly (he says “forever”) invalid. That is not scholarship. That is dogmatics. It is not worthy of a serious scholar. The name “Israel” first appears in a text at Ugarit (on the coast just south of modern Turkey, in modern Syria) and dates around 1500 bce. It is the name of a chariot warrior! Probably no connection with our ancient Israel! The next find of “Israel” – but is it a People? a Place?…. ? The name “Israel” next appears around 1200 c.e. on an Egyptian stone monument (known as the Merneptah stele) commemorating victories of Egypt’s Pharaoh Merneptah in Palestine. However it is not clear from this monument whether Israel refers to a group of people who do not live in cities or to a city-less area in Palestine. The name may also refer to a people living in a highland area of Palestine but there is no way of knowing if they are named after the name of the place they inhabit. But we cannot simply assume that this will be our starting point for an extra-biblical history of Israel. We have no way of knowing whether these people called themselves “Israel” or if they were the ancestors of those who later formed the state of Israel. • Scotland takes its name from the ancient Scots who crossed the Irish Sea and settled m Ireland, leaving the Irish today being the descendants of the Scots. • Britain today (and the British) take their name from a people (the Britons) who are now mostly limited to Wales and Cornwall after the Germanic tribes of Angles and Saxons settled there, and later the Danes and the Scandinavian-French Normans. • Neither are the Dutch really Deutsch. The same can be said of many other peoples. Populations in the Middle East, even today as in ancient times, also change a lot. Compare the peoples of Palestine and Israel today: The modern Israel occupies mostly the area once known as the land of the Philistines, while the centre of ancient Israel (the West Bank) is currently populated mostly by Arabs. It is most doubtful that any modern Israeli – actually ethnically descended from Asian and European races — can trace an ancestry back to the ancient land of Israel. So we need a bit more information than this ambiguous reference in an Egyptian monument before we can be confident we are looking at Israel in any sense that the Bible knows it. Now the above argument is a scholarly one, it is evidence based, it is careful to avoid gratuitous assumptions, yet anyone is free and even encouraged to disagree with it as long as they do so on valid scholarly principles. Bernier is quite free to disagree with Davies’ reasoning and conclusion. But a professional scholar ought to be able to do so without dismissing it as fundamentally intellectually invalid, or by simply asserting that there can be no valid disagreement with his (Bernier’s) own interpretation. We first encounter the name in the Bible when it is bestowed on Jacob after he wrestled with God himself. He became the father of twelve sons who each became the father of one of the twelve tribes of the nation of Israel. This eponymous hero named Israel is character of fiction, based on an assumed existence of a later Israel comprising of twelve tribes. Few biblical scholars would doubt this today. Such ‘eponymous’ figures of story have a life of their own, quite apart from any real or assumed past. Odysseus’ struggle with the Cyclops need not have anything to do with a known past and hardly gives us cause to believe in historical Cyclopses in the Aegean’s past. Similarly, Israel’s tribes need not have been either twelve or tribes in reality. Names in both history and tradition tend to have very long lives. They change over time and can come to have a variety of references. out of traditions, stories and legendary lore from Palestine’s past. Some of the sources for such ‘knowledge’ are very old, and it is useful to take a look at how such knowledge changes over time. Liverani is addressing historians of Hittite history here. Historians of the Hittites felt they had all they needed to know to get started by the discovery of a decree by King Telipinus. This presents an outline of Hittite dynastic history that has been used by many Hittite historians. But Liverani showed that the “history” had little to do with actual reality. It was a highly ideological text designed to establish a (fictional) rationale for King Telipinus’s usurpation. Lemche is speaking specifically of Old Testament studies. But my observation is that it applies at least equally strongly among New Testament studies. Josiah’s reforms: Where is the archaeological evidence? It was during King Josiah’s reign that Finkelstein and Silberman argue that the “defining and motivating text” of the biblical books was composed. The stories of David and others were supposedly modeled on their authors’ propaganda vision of Josiah himself. After a couple or more years I’m finally completing the formatting of my notes from Philip R. Davies’ In Search of Ancient Israel, the book that is said to have sparked the public debate between “minimalists” and “maximalists”. The earlier chapters are outlined on my In Search of Ancient Israel web page. The first section, The Exile, is a bit of a recap of an earlier section that was dealt with more fully in the web page above. I’m pushing myself to get this completed and sense that I have clung too closely to Davies’ words and outline in too many places and not taken the time to stand back and find the most appropriate ways of both framing and expressing the ideas so their essences can be grasped quickly. I also need to give more time to smoothing its connections to the earlier sections. Have decided to post it here as a draft and with a view to editing it after a time before adding it where it will belong as the next chapter on my webpage notes. We do not know if the Babylonians deported from Judah only the ruling classes and their servants or also some of the peasants. The custom was to remove temple furniture, including images of the gods. Official archives would have either been confiscated and taken to Babylon, or, more likely, have been left behind in Judah which still had to be administered. The deportees, as displaced peoples normally do, quite likely established themselves as ethnic communities in their new lands. We need not assume that they had to gather literary documents from their homeland to reconstitute their national identity. The Persian empire replaced the Babylonian and the area of the old kingdom of Judah became the province of Yehud. Yehud province was part of the satrap “Beyond the River” that extended from Babylon and the Euphrates River to Egypt. Why, after so many years of interest in the bible and archaeology, did I not know till now that there was an alternative possible reading to Israel in the Merneptah stele? Other questions have been raised commonly enough, but not that particular one — at least not widely in readily accessible public literature. So well known and “secure” is this monument’s reference to “Israel” that it is even widely known as, simply, the “Israel stele”. The wikipedia article will cast not a shred of doubt on this reading. A cited webpage from that article with a full text and translation is just as dogmatic in its assurance of this reading. If the monument speaks the truth, that Israel is annihilated, then biblical Israel never got started as a nation. But, of course, exaggeration is common enough in political propaganda — in any age. Alternatively, another people may have taken the name Israel after the demise of those mentioned by Mernepteh. There is little indication in the stele to inform us about the nature of the reference “Israel”, or the location to which it refers. See my vridar.info notes on the Mernepteh Stele from Davies’ earlier book, In Search of Ancient Israel. There is no biblical reference to any event involving a clash between Israel and Pharaoh Mernepteh (or any Pharaoh of Egypt) in the thirteenth century. This is, presumably, the time of the biblical “Judges”, or even of the period of Joshua’s conquest. 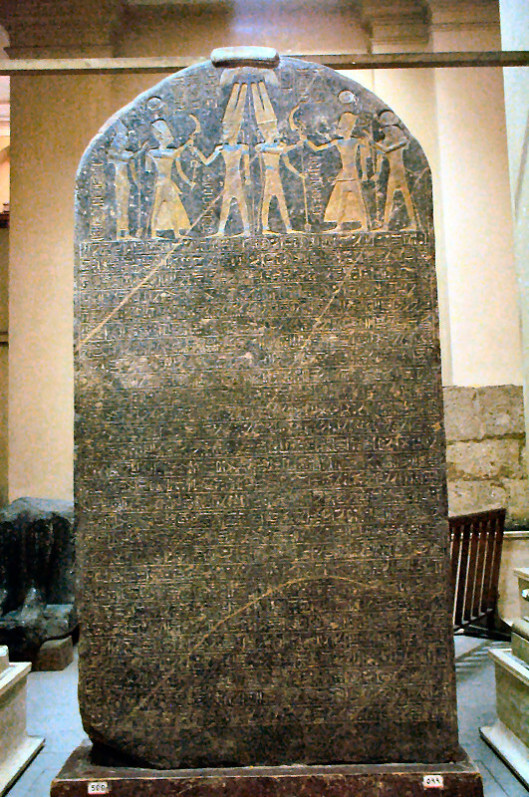 I have seen so many references to this Mernepteh stele over the years and not once, till this week, did any of them give me the slightest indication that there was simply no room for debate about its reference to “Israel”. I don’t think I would be the only one who is attracted to the possibility of the original reference being Jezreel, with a pun on the “without seed” beside it — and would be open to suggestions that such a personification in the pun could explain its reference to being a people, not a place. But this is not the only stele with “issues”. Davies also surfaces many questions over the Shalmaneser (Kurkh) stele, the Sennacherib insriptions, and even the Hezekiah “Siloam” tunnel supposed-inscription — and others. Will discuss one by one in future posts. Is it valid to be reminded of religious scholars continuing a proud tradition, that can be traced back to the middle ages, of keeping the lay masses in ignorance? Sharing here what I’ve found of interest in an alternative view to Finkelstein’s account of the rise of the kingdom of Israel. While Finkelstein sees the rise of Samaria and Omride dynasty in the context of cyclical demographic-economic patterns within the central hills area of Palestine and as an outgrowth of an ethnic unity and a former united kingdom, Thompson argues that a survey of a broader range of evidence (and without presuppositions of a united kingdom) suggests Samaria was built as a capital of a kingdom in response to the region being drawn into the wider world of international trade. Finkelstein’s views are widely known through his popular books written in collaboration with Neil Asher Silberman. Hence my focus here on a digestible summary of Thompson’s views, in particular from his Early History of the Israelite People. The book is available free in Google books online — but legal matters prevent the publication of all its pages. From around 1050 – 1000 b.c.e. the “great Mycenaean drought” came to an end. This drought period (ca 1200 to 1050 b.c.e.) forced populations from Palestinian lowlands to seek livelihoods in new areas and for the first time the highlands of “Ephraim”, (with their semi-steppe areas, fertile plateaus and valleys, and rugged western slopes) were opened up to small villages and agriculturalists and pastoralists. This was the beginning of settlement of what was to become the kingdom of Samaria. Part of the evidence for the above involves the expansion of population and farming in terraced areas of the central hills area that are more suited to cash crops (nuts, fruits, wine, oil) than subsistence agriculture. With widening commerce comes increased importance of access to trade routes. These were the conditions that existed before the rise of Samaria as the capital of a northern kingdom. In my previous post I mentioned Thompson’s interpretation of Jerusalem’s late rise and expansion of power as being that of an imperial city-state coming to dominate surrounding regions. Palestine had until Samaria’s appearance known only city-states as dominant centres of power — “i.e., essentially agriculturally based market town[s] with an indigenous Hinterland supporting . . . ” But Samaria was something new. Samaria was built “as a capital city with dominant public structures”, although it did additionally develop the economy of a city-state as well. Assyrian texts provide further evidence that Samaria was the capital city “of much of the region of the central highlands”. Thompson comments that these texts suggest that Samaria found itself in competition with Tyre and Damascus for control of the Jezreel and Galilee regions. A Moabite text also points to a struggle between Moab and Israel (Samaria) over the Gilead area. Damascus and Ammon may also have sought influence here. It’s easy to think of biblical Hebrew having been around since Adam, but Thompson addresses some interesting questions about the linguistic variations throughout Palestine in the Bronze and Iron age periods. See pp. 336-339. Biblical Hebrew is a relatively late development, and it has been argued (Knauf) that it is an artificial literary construct. Thompson refers to E. A. Knauf’s studies of the branches of Canaanite languages, and the distinction between “core Canaanite” (Phoenicea, Israel), and “fringe Canaanite” (Judaean, Ammorite, Moabite and Edomite). Israel developed out of the population dislocations of the great Mycenaean drought. Judah originated out of the expansion of the olive industry (to meet demands of international trade) that brought about the enforced sedentarization of pastoralists and nomadic groups. They did this, of course, through mass deportations of populations. Not only were the elite deported, but craftsmen, corvee laborers, women for the slave trade and men for the army, and indeed entire villages and towns were moved across great distances of the empire. This post is an extension of an earlier one, Jerusalem unearthed. Israel Finkelstein describes Jerusalem’s rise to power in the seventh century b.c.e. as a result of integrating itself within the Assyrian imperial economy after the fall of Samaria. He writes of Jerusalem being the capital of a politically integrated kingdom of Judea. Thomas L. Thompson likewise argues that Jerusalem rose to power with Assyria’s blessing. Jerusalem did not extend its influence to the north or any other Assyrian conquered areas, but to the southwest and south, the Shephelah and the Negev. Further, Judea was not a politically integrated kingdom or nation, but was dominated politically by city-state Jerusalem imposing its hegemony over other city states like Hebron. For background to this, see earlier post, Jerusalem unearthed. Commercial rival Lachish had been destroyed, never to be rebuilt, and this opened up the possibility of more of the southern area’s resources to Jerusalem. But the Assyrians had also, led by Sennacherib, diminished Jerusalem’s influence when they invaded parts of Judea. Thompson suggests that given Samaria had been a longstanding enemy of Jerusalem, it is unlikely that refugees from Samaria would have sought refuge in Jerusalem. They would more likely have gone to allies in Phoenicia. Moreover, Jerusalem would have been drawn into “the direction of a hopeless confrontration with Assyria” had they accepted large numbers of Samarian refugees. Here Finkelstein and Thompson part. Finkelstein sees Jerusalem’s population swelling primarily as a result of refugees from the northern kingdom rather than those of the Shephelah area. Finkelstein argues for cultural-historical affinities between the peoples of the northern and southern “kingdoms” but Thompson sees no archaeological evidence for these. Thompson sees the various geographical regions of Palestine as a hotch-potch of ethnic and cultural groups until the Persian era at the earliest. The size of Jerusalem — a great city in the seventh century — time meant it could no longer be economically sustained “solely by the Jerusalem saddle and the Ayyalon Valley.” Thompson sees Jerusalem as a city-state compelled to secure itself by dominating the resources of neighbouring areas to the south and south west. Comparing Ekron — a mirror to Jerusalem’s rise? At the same time Ekron expanded its influence to dominate the coastal plain lands and cities. Ekron was able to do this as a result of cooperation with the Assyrian empire. Ekron served Assyria’s interests by establishing itself as a centre of a vassal state in Judaea. According to Thompson, Jerusalem’s growth and expansion was that of an imperial city state over subject peoples and cities like Hebron. Unlike the erstwhile northern kingdom of Israel, Judea was not a politically integrated united kingdom. It maintained its hegemony as an imperial city state only. Finkelstein’s interpretation of the evidence hinges on his belief that much of the biblical literature, in particular the history of the kingdoms of Israel and Judah beginning with the United Kingdom of David and Solomon, was the product of the pre-exilic Kingdom of Judah. Thompson instead argues that the themes of the biblical literature find no basis of origin before the Persian period. The archaeological evidence is against the existence of a united kingdom of Israel or large-scale influx of a new ethnic-cultural-religious group dominating Palestine in the Iron Age. It is not until the Persian era that Palestine is united politically and religiously, and this with the migration of a new group of peoples at the behest of the Persian imperial authority. I think that both Thompson and Finkelstein would agree that history tells us as much or more about those who wrote it as it does about the past. Personally I don’t understand why such propagandists would create negative images of Josiah. While agreeing that the biblical history was ideological and theological, Thompson sees the biblical history being concocted by propagandists among the the leaders of those deported by the Persians to settle in Palestine. This history was apparently inspired by themes of settlement among an indigenous population who did not welcome the newcomers, of a new state arising out of peoples migrating from Mesopotamia, and even from a (Persian created) political entity stretching from Euphrates to the Nile — compare Genesis 15:18 and 1 Kings 4:24. I consider this the more plausible explanation. 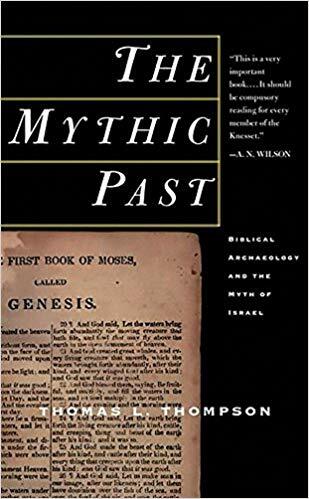 Archaeologist Amihai Mazar writes that studies over the past twenty years that have cast doubts on “the historical validity of the biblical descriptions” have “gone too far” (p. 117 in The Quest For the Historical Israel, a book in which he debates Israel Finkelstein chapter by chapter.) In this post I choose to discuss what appear to me to be the strongest of nine overall arguments in Mazar’s chapter titled The Search for David and Solomon: an Archaeological Perspective. I use Mazar’s headings. Mazar reasons from the fact that Sheshonq’s list of conquests mentions cities north of Jerusalem (Beth Horan and Gibeon) that the Pharaoh was following “an exceptional route” for a campaign (no earlier Egyptian New Kingdom campaigns mention such cities) and that “the only sensible” reason for this must have been the existence of a powerful Solomonic kingdom to the south of those cities. (Mazar later comments that southern cities like Arad are also listed by Sheshonq’s scribes.) How to explain the absence of Jerusalem from the list? The other building Mazar refers to is one known as the “Large Stone Structure“, part of a complex excavated by a relative of Amihai Mazar, Eilat Mazar. Eilat announced that these remains belonged to King David’s palace! Unfortunately Mazar’s chapter was published in 2007, the same year as a rebuttal of Eilat’s and Amihai’s interpretations (“Eilat Mazar’s archaeological, chronological and, in fact, historical conclusions have unreservedly been endorsed by Amihai Mazar” — Finkelstein et al.) of these remains dating earlier than Hellenistic and Roman times was published — by Israel Finkelstein, Ze’ev Herzog, Lily Singer-Avitz and David Ussishkin — and for this reason Mazar was presumably unable to address its discussion. Their article (Has King David’s Palace in Jerusalem Been Found?) can be read by anyone online, but I will highlight a few of its points here. When Eilat Mazar pointed to 11th/10th century foundational layers to the edifice, Finkelstein et al pointed out that the dating was only valid if the soil was originally “in situ” and not a fill for construction brought in from elsewhere. They give reasons for observing that the latter is more likely the case. When Mazar drew attention to a particular form of pottery that was known to have been found at earlier sites, Finkelstein et al pointed out that the accompanying picture also showed that later forms of pottery were found with that earlier type. Finkelstein et al point out that some of Mazar’s finds — including Herodian pottery between and under the spaces in the “Davidic” walls! — point to the “palace” being built in post-Iron Age times. Finkelstein et al further remark on the walls of a Hasmonaean ritual bath being built in the same orientation and at the same elevation (strata) as the “palace of David”. Finkelstein et al finally note that a Byzantine wall was built directly on a flattened part of the wall of “David’s palace”. Finkelstein et al conclude that the best explanation for all the evidence is that the “palace” was not built as a single unit, but was begun in the late Hellenistic (Hasmonaean) time, and later added to in Roman times. So much for the evidence that Jerusalem was a monumental city in the tenth century. Amihai Mazar next turns to “the supposed low settlement density and lack of urbanization in the tenth century.” (p. 134) He attributes this perception to “methodological problems”. How he arrives at such figures despite the “methodological problems” he discusses he does not explain. But I am not clear on the significance of these figures anyway. Surely a — the — significant figure would be that of the apparent power base from which a united Palestinian kingdom could be established, extended, controlled and sustained. I doubt a 4 hectare Jerusalem could fit the bill. Not knowing the specific evidence to which Mazar is referring (and hence unable to cross check with other views and finds) my only comment is that literate officials required for basic book-keeping and legal matters are a long step from a critical mass of literates from which historical, religious and other forms of literature can be sustained. Anyone who has followed Jared Diamond’s studies (e.g. Guns, Germs and Steel) knows that even the most talented, charismatic and politically astute leaders are powerless without the geographic tools and base at their command. Finding this or that new artefact or foundation of fort or shrine in Iron Age Judea and Jerusalem may make headline news in relation to the Bible story, but it is unlikely in the extreme to change the basic geographic facts we do know about Jerusalem and the area of the supposed kingdom of Judea as outlined in my previous post, Jerusalem unearthed — 1000 to 700 b.c.e. The facts of Jerusalem’s size, relative isolation, and political and economic position position in relation to Lachish, Ekron, Hebron and Arad, as well as in relation to the greater neighbouring kingdoms of Israel, Syria, etc, make any notion of it having the power base to dominate a Judean kingdom before the seventh century b.c.e. completely implausible. Such a village could not have the critical mass of educated elites required to preserve a noble history, quite apart from the fact that such a village simply lacked the economic and political and cultural backgrounds from which such historical notions are necessarily spawned. These facts belie the biblical history of Jerusalem as the major power centre of a united kingdom of Israel, or even a dynastic hub controlling Judea. Sensationalized news about discoveries of new artefacts are unlikely to result in any significant changes to these facts. Jerusalem unearthed – archaeology and Jerusalem 1000 to 700 b.c.e. after the breakup of this kingdom Jerusalem remained the centre of the southern Kingdom of Judah and power base of the descendants of David and Solomon. the centre of an empire “from the Euphrates to the border of Egypt” and influential alliances were made with neighbouring kingdoms and wars waged. This Jerusalem-led kingdom of Judah was said to be an ethnically cohesive society tracing its ancestors back to three sons of Jacob – Judah, Benjamin and Simeon. And of course Jerusalem retained throughout this period the capital to support and maintain epic royal buildings and the famous Temple. Even when Egyptian invaders plundered the temple and royal treasury, the king of Jerusalem still had the resources to replace the losses with other metal, especially bronze. Archaeologists have uncovered a very different Jerusalem throughout this period. The following outline of the status of Jerusalem throughout most of the first three hundred years of the first millennium is taken from the archaeological findings extensively surveyed by Thomas L. Thompson in Early History of the Israelite People : from the Written & Archaeological Sources. Mudmap is mine, not Thompson’s, of course. It was comparable in size to Lachish and Gezer. Jerusalem was isolated from other comparable urban areas in the Negev to the south and the Shephelah area (Lachish and Gezer) east and south-east and, given its size, very unlikely to have had the resource base to have exercized any controlling influence over them. Jerusalem did have easy access, however, to the small settlements in the hills area immediately south (the northern part of the Negev). The hill area south of Jerusalem was a target of commercial rivalry among Jerusalem, Hebron and cities in the east such as Lachish. Centres like Hebron were responsible for constructing strings of forts in the south. These appear to have been constructed as part of attempts to increase security for the growing olive oil industry in particular by putting an end to nomadic or seasonal pastoral incursions into the Judean hill and Negev areas. The forts can be interpreted as evidence of an attempt to protect scarce agricultural resources from irregular pastoralists. As these nomadic groups were forced to settle the populations of the hill areas — and numbers of villages here — grew. So did exploitation of the hill areas timber, pastoral and horticultural resources. The hill area south of Jerusalem was dotted with smaller villages that sprang up in response to pastoral and horticultural activity. This hill area, with its timber, pastoral and crop resources, relied on larger towns to the south, such as Hebron, and those to the east, like Lachish, and Jerusalem in the north, to sell their produce. These larger towns can be presumed to have been in commercial rivalry for the resources of the hill areas — especially olive oil, but also timber, pastoral and horticultural products. Olive producing villagers in the hill area could bypass Jerusalem and trade directly with Ekron and Lachish, and of course Hebron — which was a major source of the commercial rivalry among centres like Jerusalem, Lachish and Hebron. There is no reason to believe that Jerusalem had the means to dominate any but the closest villages in the hills and Negev to her south. These were more likely dominated by Jerusalem’s competitors like Hebron and the Shephelah towns of Lachish and Ekron. A letter from Arad indicates that Arad was politically independent from Jerusalem. A text from Kuntillet Ajrud refers to Yahweh of Samaria and Yahweh of Teman, but there are no references to a Yahweh of Jerusalem. Pharaoh Shoshenk (biblical Shishak) plundered towns in southern Palestine, including the Ayyalon valley adjacent to Jerusalem, but makes no reference to Jerusalem among the town he cited to boast his victories. This was not the case in the Judean area — the Shephelah and Negev and hill regions around Jerusalem. Here each city, like an independent city-state, vied for commercial-imperial type dominance in the surrounding areas, as outlined in the note on commercial relations above. [T]he political development of Jerusalem as a regional state, controlling the Judaean highlands, lagged substantially behind the consolidation of the central highlands further north.” Samaria, for example, established complex regional associations, making itself the capital city of the entire region. The power base in Jerusalem never extended politically beyond Jerusalem itself. Dramatic changes to Jerusalem from around 700 b.c.e. 721 b.ce. Assyria destroyed Samaria and the northern kingdom of Israel came to an end. 701 b.c.e Assyria moved further south and destroyed Lachish, a leading commercial rival of Jerusalem. Assyria further took charge of the coastal trade that had been based around the oil-processing centre of Ekron. Unfortunately for Finkelstein’s and Silberman’s argument, there is also a complete absence of archaeological evidence for the biblical story that Josiah removed all the idols from the land, and there is no suggestion in the biblical story that Josiah had any political or military ambitions to unite the former northern kingdom of Israel with Judah under his rule from Jerusalem. But an interesting thing happens when we do re-read the biblical narrative of David-Solomon and the succeeding kingdoms with the awareness that the story was to a large extent a fabrication, or at least with the awareness that there are no archaeological remains to indicate it really happened as told. Read with this awareness, certain narrative details jump out and tell the astute reader that the author darn well knew he was making it all up. a mathematically and symbolically tidy 40 year reign (1 Kings 11:42). But reading on in the knowledge that there is no historical basis for this fabulous kingdom, one notices the devices the author deploys to explain away his fabrication and inform his readers why no sign of such a kingdom remains to their day. How to plausibly remove such a widespread and unprecendently wealthy empire from the scene and restore a narrative of a people of more modest dimensions by magnitudes? Firstly, the northern kingdom that had in reality never been related to a southern kingdom had to be explained as an offshoot from Solomon’s empire. This was done by means of creating a story of an intrigue by one of Solomon’s servants who was also an Ephraimite (northern Israelite). Secondly, the author brings in an anonymous prophet to make pivotal pronouncements that will tie the beginning of the northern kingdom of Israel with events in its final era. Thirdly, and most vitally, the narrator brought in the Egyptian armies of Shishak (or Shoshenq 1) to strip the Jerusalem of Solomon’s wealth. It goes without saying that the Egyptian monument commemorating this Pharaoh’s invasion fails to mention Jerusalem, which archaeology informs us was an insignificant village at the time. With that double whammy the creator of Solomon’s empire has brought readers back to the diminutive reality of small-time Judah. But what of Josiah’s kingdom near the time of the fall of Judah to Babylon and the story of the captivity? Here the author/redactor/compiler has saved the best for last. Even more extensively than Hezekiah before him, Josiah cleanses the land of all traces of worship not endorsed by the Jerusalem Temple and “the law of Moses” — not only in Judah but even from among the cities of Samaria! 4. Then the king commanded Hilkiah the high priest and the priests of the second order and the doorkeepers, to bring out of the temple of the LORD all the vessels that were made for Baal, for Asherah, and for all the host of heaven; and he burned them outside Jerusalem in the fields of the Kidron, and carried their ashes to Bethel. 5. He did away with the idolatrous priests whom the kings of Judah had appointed to burn incense in the high places in the cities of Judah and in the surrounding area of Jerusalem, also those who burned incense to Baal, to the sun and to the moon and to the constellations and to all the host of heaven. 6. He brought out the Asherah from the house of the LORD outside Jerusalem to the brook Kidron, and burned it at the brook Kidron, and ground it to dust, and threw its dust on the graves of the common people. 7. He also broke down the houses of the male cult prostitutes which were in the house of the LORD, where the women were weaving hangings for the Asherah. 8. Then he brought all the priests from the cities of Judah, and defiled the high places where the priests had burned incense, from Geba to Beersheba; and he broke down the high places of the gates which were at the entrance of the gate of Joshua the governor of the city, which were on one’s left at the city gate. 10. He also defiled Topheth, which is in the valley of the son of Hinnom, that no man might make his son or his daughter pass through the fire for Molech. 11. He did away with the horses which the kings of Judah had given to the sun, at the entrance of the house of the LORD, by the chamber of Nathan-melech the official, which was in the precincts; and he burned the chariots of the sun with fire. 12. The altars which were on the roof, the upper chamber of Ahaz, which the kings of Judah had made, and the altars which Manasseh had made in the two courts of the house of the LORD, the king broke down; and he smashed them there and threw their dust into the brook Kidron. 13. The high places which were before Jerusalem, which were on the right of the mount of destruction which Solomon the king of Israel had built for Ashtoreth the abomination of the Sidonians, and for Chemosh the abomination of Moab, and for Milcom the abomination of the sons of Ammon, the king defiled. 14. He broke in pieces the sacred pillars and cut down the Asherim and filled their places with human bones. 15. Furthermore, the altar that was at Bethel and the high place which Jeroboam the son of Nebat, who made Israel sin, had made, even that altar and the high place he broke down. Then he demolished its stones, ground them to dust, and burned the Asherah. 19. Josiah also removed all the houses of the high places which were in the cities of Samaria, which the kings of Israel had made provoking the LORD; and he did to them just as he had done in Bethel. 20. All the priests of the high places who were there he slaughtered on the altars and burned human bones on them; then he returned to Jerusalem. One would expect some evidence of such a total progrom to be uncovered by archaeologists, but no. Albright student William Dever makes this clear in Did God Have a Wife? The first time evidence “from silence” emerges to establish a land free from “idols” is the Persian period. Dever and others concede that there is no evidence for the success of these purported reforms of Josiah. He had used the same device in covering up the fancy of Hezekiah’s reforms. In that case the son of good king Hezekiah, Manasseh, acted as “abominably” as all the wicked Canaanites whom Israel had originally replaced in the land (2 Kings 21:2). God was so offended by Manasseh’s return to evil that not even Josiah’s reforms could mollify his anger and determination to wipe out Judah (2 Kings 23:26-27). Israel Finkelstein reads into 2 Kings 23 some evidence that Josiah sought to expand his kingdom to include the former northern kingdom of Israel. But there is nothing in the text to suggest anything like this. The text of 2 Kings 22 and 23 is entirely about religious reforms. The entire story, from the fortuitous discovery of the Book of the Covenant in the Temple to the application of its orders throughout Israel and Judah is an attempt to establish some historical credibility for a newly written theological treatise, the Book of Deuteronomy. In my earlier post, Forgery in the Ancient World, I referred to other case/s where a newly concocted text is claimed to be ancient and miraculously discovered in strange circumstances. We all know from the modern case of the Book of Mormon that the practice is still as good as new. So the story of the discovery of the Book of Deuteronomy, and then the soon-to-be-followed failure of its reforms, smacks every bit of an authorial invention that sought establish credibility for a newly introduced text in his own day. I’ve outlined this argument from Philip Davies in more detail at In Search for Ancient Israel. One is that it makes absolutely no sense, in my view, for a ruler to attempt to “unite” peoples by clashing head on with their long-held religious customs. The other is Thomas Thompson’s argument that there is no clear or indisputable evidence that the peoples/kingdoms of Israel and Judah had at any time before the sixth century b.c.e. had any history or notion of being a united people or administrative entity. There was nothing for Josiah to appeal to. The story in 2 Kings is about justifying a new theological text at the time of the author — nothing more. Simply creating a theological story of David and Solomon (and one which even illustrates the moral theme of Deuteronomy) after the fact could hardly make a difference to “facts on the ground” in the historical time of Josiah.